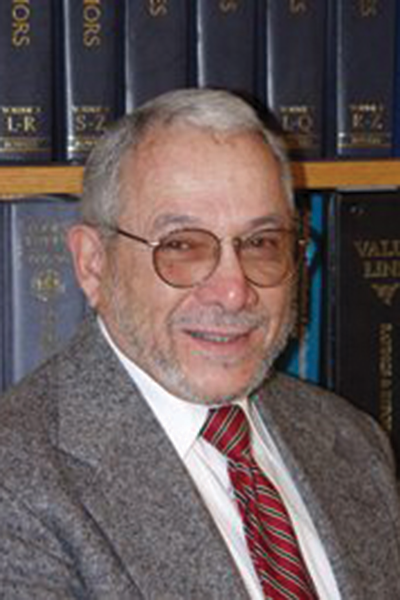 Retired Professor of Economics Vincent DeAndrea passed away on Feb. 9, according to a MyQ announcement. DeAndrea began teaching at Quinnipiac in 1968 and taught for 38 years before retiring with emeritus status in 2006, the MyQ announcement said. DeAndrea received his doctorate and MBA in economics from the University of Massachusetts, Amherst, according to the MyQ announcement. He also wrote a book called “Silver Coins: Where did they go and why?” in 1984, which Professor of Economics Donn Johnson said DeAndrea was proud of. 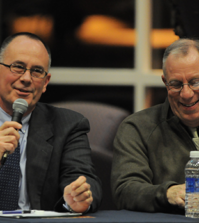 During his time at Quinnipiac, DeAndrea was the chair of the economics department and a faculty representative on the Board of Trustees, Professor of Economics Michael Rafferty said. Dean of the School of Business Matthew O’Connor describes DeAndrea as a beloved professor, who was very devoted to helping students. DeAndrea was an advisor for the Economics Club, Student Government and the Tau Kappa Epsilon fraternity, the MyQ announcement said. According to Rafferty, DeAndrea also helped bring speakers to campus like James Tobin, a Nobel Prize winner in economics, and Robert Ballard, the man who discovered the Titanic. DeAndrea lived in the residence halls when the university had a program in which professors stayed in the dorms, Johnson said. “He got a chance to mentor students at that point and get to know them well and give them some guidance to what it’s like to be a college student,” Johnson said. Johnson estimates that when the university was smaller, DeAndrea knew half of the students in the School of Business. Outside of Quinnipiac, DeAndrea collected rare coins and fountains pens, and was attached to his antique car, Rafferty and Johnson said. Yet even these interests were related to his classes. 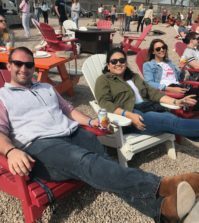 Years after they have left the university, students still recall DeAndrea and his Economics History class at alumni events. DeAndrea also left a permanent mark on the university by helping to build one of the bridges on campus, Johnson said.